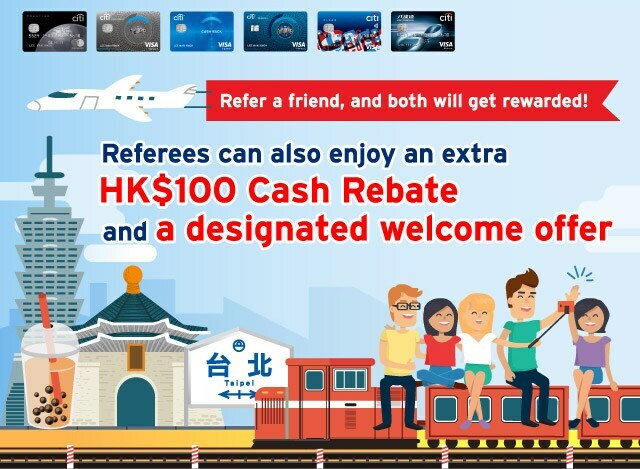 From January 21 to April 22, 2019, new customers who successfully apply for designated Citi Credit Cards via this website (citibank.hk/mgm) through the Member-Get-Member campaign can enjoy HK$100 Cash Rebate and designated welcome offers. 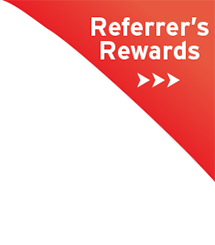 Please provide the Referrer's Reference Code (if applicable) or Referrer's Credit Card number. Welcome Offer Terms and Conditions. 1. Cardholders must make qualified transactions with a Citi Rewards Card ("Eligible Card") in the designated merchant categories, which are Department Stores, Supermarkets and Telecom Providers in Hong Kong ("Designated Merchant Categories") ("Qualified Transactions"). Telecommunications spending stands for transactions at designated Telecommunications companies and monthly autopay of your telecommunications bill payments such as mobile service, household fixed line, internet service and pay TV. All Qualified Transactions made during the Principal Cardholders' birthday month (based on transaction date) are entitled to 8X Points for which 8 Points will be rewarded for every HK$1 charged, which include the basic spending reward of 1 Point rewarded under the Citi ThankYou Rewards, the extra 4 Points rewarded under the "5X Points" Program and the extra 3 Points rewarded under "8X Birthday Bonus Points" Program ("the Extra 3X Points").The Extra 3X Points will be capped at 15,000 Points to each Eligible Card account per statement cycle. 2. The Offers are available on a first-come-first-served basis while stock lasts. Any changes of the Offers will be subject to the availability of coupons at the time of redemption. a. 1% spending rebate ("Basic Rebate") will be awarded to posted transactions in any currencies and monthly installments of billed interest free installment plan that are charged to the Eligible Card account (“Eligible Transactions for Basic Rebate”). b. 2% foreign currency rebate ("Foreign Currency Rebate") including the 1% Basic Rebate, will be awarded to all posted retail transactions made in foreign currencies charged to the Eligible Card account (“Eligible Foreign Currency Transactions”). c. 2% local dining rebate ("Local Dining Rebate") including the 1% Basic Rebate, will be awarded to all eligible transactions executed in Hong Kong dollar at dining outlets in Hong Kong which are classified as restaurants or dining merchants according to the merchant codes issued by Visa (“Eligible Local Dining Transaction”). Transactions made in respect of hotel, banquet services, private functions, private room events, department stores, associations and clubhouses, and the food and beverage services provided by the designated merchants of other spending categories will not be counted as Eligible Local Dining Transactions. d. 2% local hotel spending rebate ("Local Hotel Spending Rebate") including the 1% Basic Rebate, will be awarded to all eligible transactions executed in Hong Kong dollar at the hotels in Hong Kong which are classified as hotels according to the merchant codes issued by Visa (“Eligible Hotel Spending Transaction”). Transactions made in respect of banquet services, private functions and private room events will not be counted as Eligible Hotel Spending Transactions. Ineligible transactions including but not limited to “Dynamic Currency Conversion transactions”, i.e. transactions with conversion from a foreign currency into Hong Kong Dollars involved at the point of the transaction, withdrawal amount/loan amount under the Balance Transfer Program, Cash Conversion Program, Flexi-Installment Program, Citi Credit Card “Quick Cash” Installment Program, payment to the Inland Revenue Department, online bill payment, cash advances, fees & charges, casino transactions, unposted/cancelled/refunded transactions, other unauthorized transactions and fraud and abuse transactions are not eligible for this promotion. 4. The promotion is valid from January 1 to December 31, 2019, both dates inclusive. Cardholders of Citi Octopus Platinum Credit Card are required to register ONCE successfully by entering the Principal Designated Credit Card number and confirming all terms and conditions listed on the Designated Registration Page (www.citibank.com.hk/octopus) within the Promotion Period (“Registration”) to be eligible for this promotion. This Promotion shall supersede Citibank's “15% KMB and LWB Bus Rebate Promotion” as from and including January 1, 2019. Cardholders who have previously successfully registered will be automatically registered for this Promotion. For the full program terms and conditions, please refer to www.citibank.com.hk/octopus. 5. Cardholders of Citi PremierMiles Card will be awarded 12 Points (1 mile) per HK$8 local transaction posted. 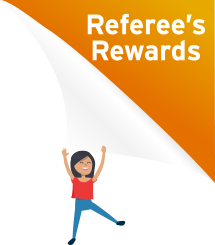 Extra Rewards will be awarded when Citi PremierMiles Cardholder reaches total Eligible Transactions (including both local and overseas transactions) of HK$20,000 or above in one statement cycle, he/she will be awarded 12 Points (1 mile) per HK$3 (or equivalent foreign currency) overseas and online foreign currency transactions posted. If the total Eligible Transactions are below HK$20,000, cardholders can still enjoy 12 Points (1mile) per HK$4 (or equivalent foreign currency) for all eligible overseas and online foreign currency transactions. 6. Principal and supplementary Cardholders can each enjoy up to 12 times complimentary access to 60 designated Plaza Premium Lounges worldwide, given that HK$5,000 spending per head is made within 30 days after the date of each lounge visit. For details, please visit www.citibank.com.hk/pm. 7. 2% cash rebate ("Online Spending Cash Rebate"), including the 0.4% Basic Cash Rebate, will be awarded to online transactions charged in currencies other than Hong Kong dollars ("Eligible Online Transactions") to the Eligible Card account. Each Eligible Card account is entitled to receive Online Spending Cash Rebate for the first HK$10,000 (in equivalent foreign currencies) Eligible Online Transactions ("Online Spending Cash Rebate Cap") every statement cycle. 8. Valid until December 31, 2019, eligible on Friday to Sunday only at Cinema City Langham Place and Cinema City Victoria and upon a single local retail transaction of at least HK$500 made by the Citi Clear Card in the same or previous calendar month as the movie ticket purchase. Each Citi Clear Card is only entitled to one free movie ticket every week (from Monday to Sunday) during the Promotion Period. 9. Valid until December 31, 2019, eligible at Cinema City Langham Place, Cinema City Chai Wan, Cinema City JP , Candy Park by Cinema City and Cinema City Victoria only. Cardholders can purchase a maximum of 8 discount tickets for each transaction. The discounted movie ticket price will be rounded up to the nearest dollar.